Jefferson Avenue will begin operating with new left turn lanes at the intersection of North Lamar once striping is completed on Friday, August 3rd. The new travel lanes will be approximately the same width as the lanes on North 14th. 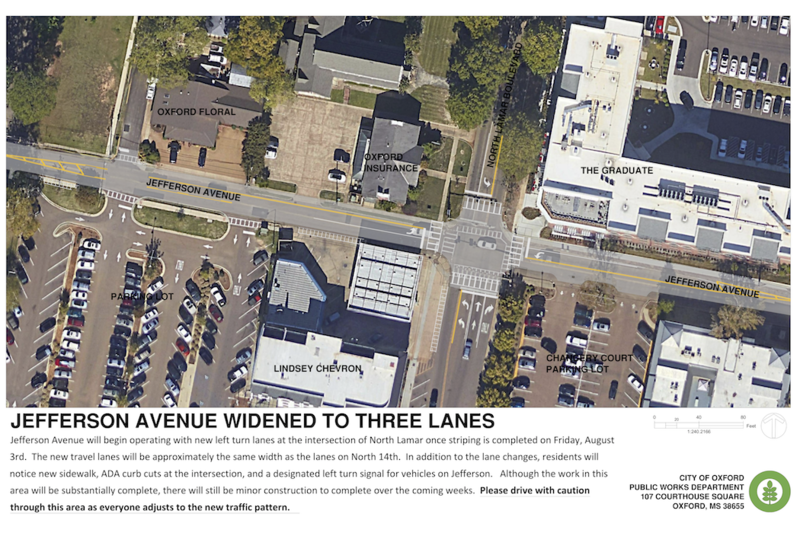 In addition to the lane changes, residents will notice new sidewalk, ADA curb cuts at the intersection, and a designated left turn signal for vehicles on Jefferson. The stop bars will also be relocated to allow adequate room for turning movements. Although the work in this area will be substantially complete, there will still be minor construction to complete over the coming weeks. Please drive with caution through this area as everyone adjusts to the new traffic pattern.